My objective: the student will pose probing, elaborate and divergent questions to challenge the validity of print, author stance/point of view, clarify nuances of meaning, and determine the controlling idea or them. They will eloquently explain how questioning aids comprehension. Quite a mouthful! Basically, I wanted them to ask good questions while they were reading. In a previous post, I described the various mini lessons I did to encourage good questioning. As fate would have it, our recent field trip to the Philadelphia Art Museum helped solidify and integrate all we were learning. While on our tour at the museum, the docent showed us an amazing piece of pottery and told us the story of Dave, the Potter. During the 1800s in South Carolina, a slave created this masterpiece. 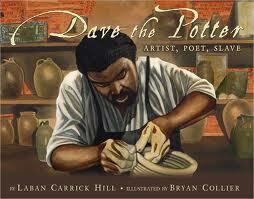 Although it was forbidden, Dave not only created amazing pottery, he wrote poems that were carved into his pots. My fourth graders were fascinated not only by the pot, but found it incredulous that slaves were forbidden to learn how to read and write. 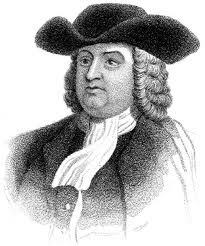 In our social studies curriculum we’ve been learning about colonial Pennsylvania and William Penn. The students were confused when they learned Penn had slaves, although he felt so strongly in his Quaker beliefs that everyone should be treated fairly. The topic of slavery and fairness has been an area of focus across our curriculum. Their questions have been sensitive and insightful. When the book Dave the Potter by Laban Carrick Hill, illustrated by Bryan Collier, arrived, the students were captivated by the breathtaking illustrations. Each student generated a list of questions in their journals and we read the book as a class. Many of our questions were left unanswered, but the students learned that not every question has an answer and wondering and imagining are productive, too. 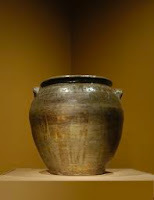 The memory of actually seeing the pot at the museum made the lesson more powerful. We jumped forward in history to after the Civil War during the Reconstruction period where the lack of education was one of the biggest hurdles facing the freed men and women. We read the true story of Virgie Goes to School with Us Boys by Elizabeth Fitzgerald Howard and illustrated by E. B. Lewis. Again, the students were awestruck by the idea that people were denied access to school due to their skin color. A young girl begs her previously enslaved parents to allow her to go to school with her five brothers. 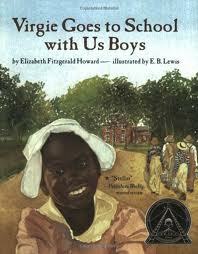 The book includes an actual photo of the brothers, but sadly, no photo of Virgie. They had more questions than they could write. 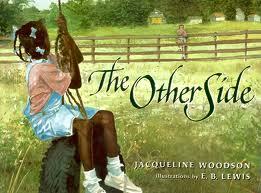 To finish our exploration of questions while we read and to continue the theme of fairness, we read The Other Side by Jacqueline Woodson and stunning illustrations by once again E. B. Lewis. 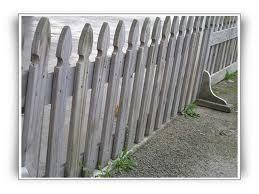 In this book, a mother warns her daughter not to climb over the fence when she plays. She said, “It wasn’t safe.” The students asked and imagined a wealth of scenarios that would be on the other side and never imagined that white people lived on the other side. In the book, two girls – one white, one African American, figure out a clever way to play together even though it was not acceptable. 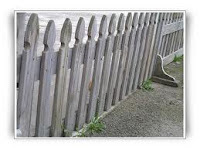 We learned not only about a serious issue, but also about symbolism in literature, specifically that the fence represented not only a dividing of properties, but a division in society. 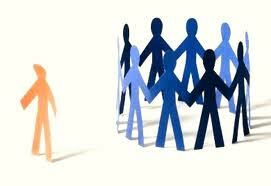 They learned that discrimination is not just recognizing and understanding the difference between one thing and another. Through our literature, visit to the museum and in class discussions; they learned so much more then how to ask good questions. They learned about discrimination. I hope they keep asking questions in every aspect of their lives. Your students are so lucky to have you as a teacher!! !